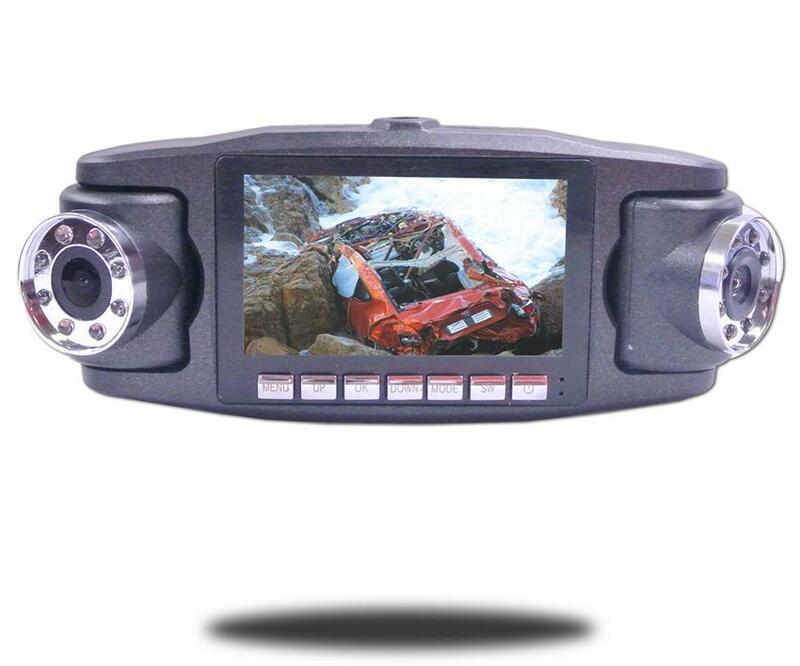 This Square Dash Camera has two HD cameras (1280 x 720P), one for behind you and one for the front. You can, of course, swivel the cameras anywhere you want using the square blocks that pivot. The system actually speaks to you when you press the buttons so you can safely hear what you are pressing without looking. It can also continuously charge while recording so you are never without your camera. There is also a "camera" mode so you can take photos instead of video. The video and photos can have timestamps as well it's up to you. There are plenty of great features this product has such as Auto Shutdown mode as well as many others. This dash cam also has a big easy to access buttons. It also has the cameras set in the middle and they are easy to swivel back and forth. You can also download the information to your computer for safekeeping.